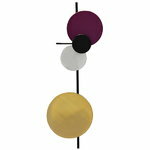 Planet lamp, designed by Mette Schelde for PLEASE WAIT to be SEATED, has a fascinating, interactive design. The wall light consists of a slim frame and three differently sized discs reminiscent of planets. 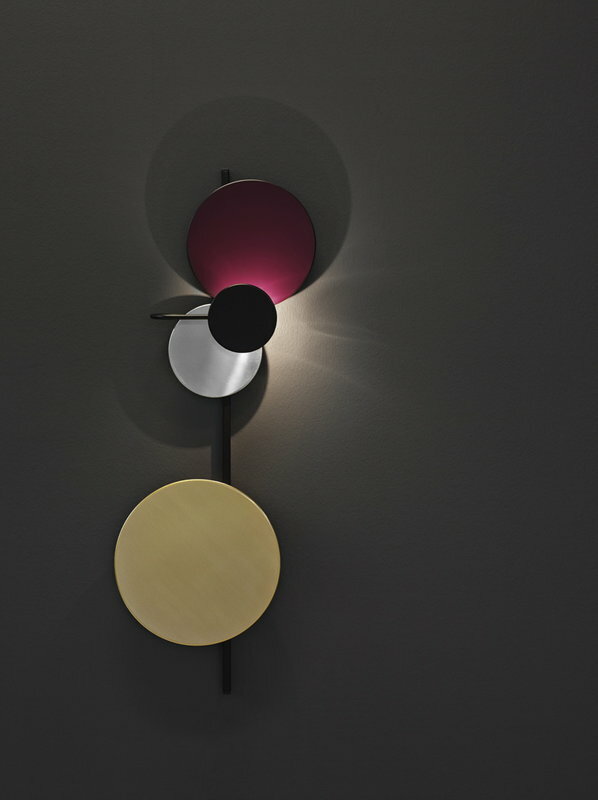 Made of brass, aluminium and powder-coated steel, the discs reflect light and cast shadows in their own unique way. 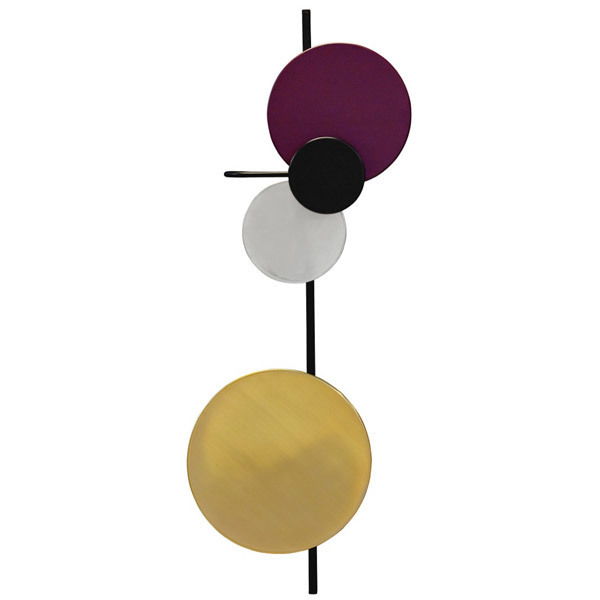 The appearance of Planet lamp can be easily altered since the planets are attached to the frame with magnets. With the ambient Planet lamp, you may create your own domestic solar systems with orbits and eclipses. Mette Schelde is a Danish designer, who received her MA in Architecture in 2013 from Aarhus School of Architecture. She designs both furniture and architectural spaces and established her own studio while still studying. Schelde’s work reflects her interest in geometry, nature and the surrounding world in general. Her clients include Please Wait To Be Seated, Bang & Olufsen, Trip Trap, Woud, Hay and Royal Copenhagen. Mette Schelde’s designs have been presented in numerous exhibitions and recognized with several awards such as the Up/Coming Design Award in 2013 and IF Concept Design Award in 2014.